Last night at the Intercontinental Hotel, Dewhurst supporters gathered. Many were long time friends or family members, and then there was the overflow of youth. Each one had volunteered a few hours for the campaign believing that it would be enough to grab that victory for Lt. Gov. Dewhurst. The excitement was high on what was believed would be a triumph over the opponent Ted Cruz. While the results scrolled onto the computer screens available for the attendees, we could hear the question, “How much?” How much ahead was Lt. 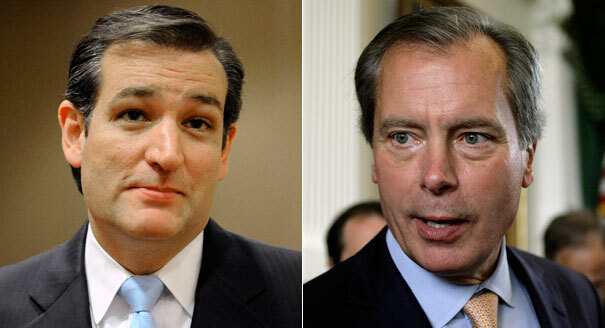 Governor Dewhurst of his opponent Ted Cruz? And as the evening crept on, it was evident that a run off would be lingering in Texas for the summer. By the end of the evening Dewhurst received 44.59 percent of the Texas vote and Cruz 34.23 percent and signaled a run-off for our new Republican candidate for the U.S. Senate from Texas. Voter turnout was low for the primaries. Only 1.3 million votes were cast in a state that has over 13 million registered voters, according to the Texas Secretary of State. Only 13 percent voted as Republicans which was more than what turned out for the Democrats at 500 thousand. 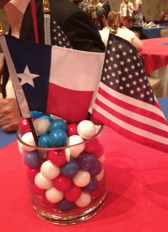 To the Dewhurst crowd, it was about keeping Texas…well Texas. They were displeased that outsiders would come into Texas with millions of dollars to influence on how the state should be run. Each Candidate has spent a good size of their fortune in the campaign. But we Texans like our strength in numbers, population, and size. We like our candidate to speak to us in Conservative strong terms, but with a southern hospitality enough to be friendly. Both candidates should then be mindful of this in the last stretch of the race. Both candidates should remember that if they stray from the political message, the firestorm of insults may keep voters at home. Finally, both of these campaigns should remember to address those issues pertinent to this race, which are: the economy, job creation, and family values. In the next nine weeks, we will see which candidate is willing to roll-up their sleeves and courageously battle that Texas Summer heat to engage enough voters to participate. If either Dewhurst or Cruz can manage to convey that our Republican lives are at stake in this race, perhaps they can convince enough voters to cast their vote once again. Their message must remind that timid voter that only one of them will then garnish the Republican Nomination, and only one of them will have that GOP vote in November. 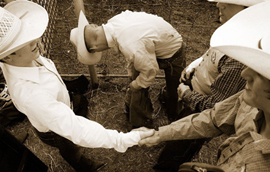 In the meantime, 13 million registered voters in Texas await that “ Texas handshake” that could make all the difference in this race.